The Department of Psychology at Loyola Marymount University invites applications for a tenure-track position starting at the level of Assistant Professor to begin August 15, 2019. Applicants must have a Ph.D. in psychology with an emphasis in research related to health psychology, mental health disparities, and/or stress and trauma among underserved populations (especially African American, Latino, or American Indian/Alaskan Native communities). Preference will be given to candidates who conduct community based participatory research with African American, Latino, or AI/AN communities. Research with implications for social justice and applied issues, culture, mental health disparities, and/or stress and trauma is highly desirable, as well as a candidate’s openness toward multi-disciplinary, interdisciplinary and/or collaborative research. The department aims to hire an individual with the potential to develop an ongoing program of research into which department undergraduate students/researchers as well as colleagues in other departments (such as ethnic studies or sociology, for example) can be integrated. The successful candidate will regularly teach courses in statistics and research methods, as well as electives in their areas of expertise, including health psychology, mental health disparities, and/or stress and trauma. A willingness to develop engaged learning pedagogical strategies is highly desirable. The LMU community, including the Department of Psychology, is composed of faculty, staff, and students from a wide range of culturally and religiously diverse backgrounds and a commitment to Catholic/Jesuit intellectual traditions. Applicants should be committed to work in and with this diverse population, be committed to the LMU mission, and have a demonstrated commitment to undergraduate liberal arts teaching. Other responsibilities include the advisement of students on their academic and professional aspirations, and participation in department, college, and university service responsibilities. The application requires: 1) a cover letter (outlining fit with position, area(s) of research expertise, teaching experience, and resonance with LMU’s mission); 2) a curriculum vitae; 3) a statement of teaching philosophy that demonstrates your approach to teaching in the liberal arts tradition, and, if available, teaching evaluations and/or sample syllabi; and 4) three letters of recommendation. Application materials should be submitted by October 15, 2018 by 5pm. All application materials except the letters of recommendation should be uploaded at jobs.lmu.edu. The three letters of recommendation should be emailed by the recommender directly to the following email address: PSYCFacultySearch@lmu.edu. The subject line should read: “[Candidate Name] Recommendation for Health Psychology/Mental Health Disparities.” Applications missing any of the materials or arriving after October 15, 2018 will not be considered. Only electronic applications will be considered. Please direct questions to Máire Ford, search committee chair at PSYCFacultySearch@lmu.edu. 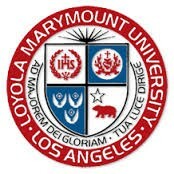 Loyola Marymount, founded in 1911, is a comprehensive university in the mainstream of American Catholic higher education. Located on the west side of Los Angeles overlooking the Pacific, LMU is one of the nation's 28 Jesuit colleges and universities and five Marymount institutions. It serves 6200 undergraduates and over 3000 graduate students in the Colleges/Schools of Liberal Arts, Science and Engineering, Business Administration, Communication and Fine Arts, Film and Television, Education, and Law.